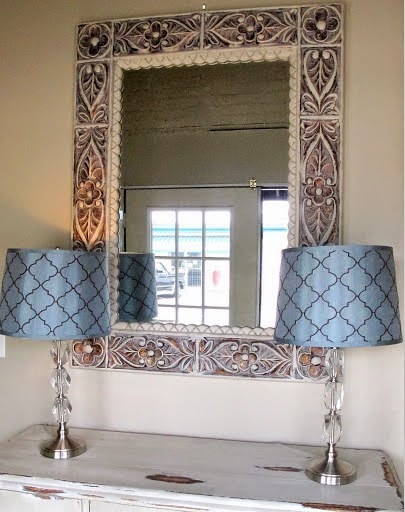 Jode Designs: Think outside the square.. Modern mirrors..
We all have a mirror in the house which looks boring and old.. So why not give it a modern make-over by adding these stylish trims.. IDEA ONE: Add some flowers.. 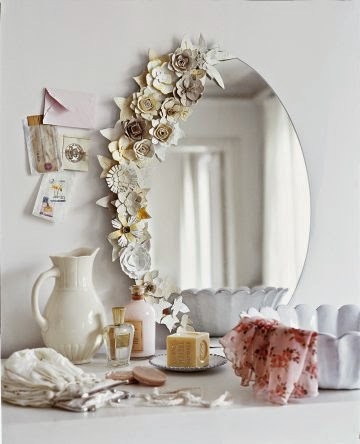 This beautiful idea would be perfect for a little girls room, dressing table or even a bathroom mirror.. Choose the colours and patterns that suit your style.. 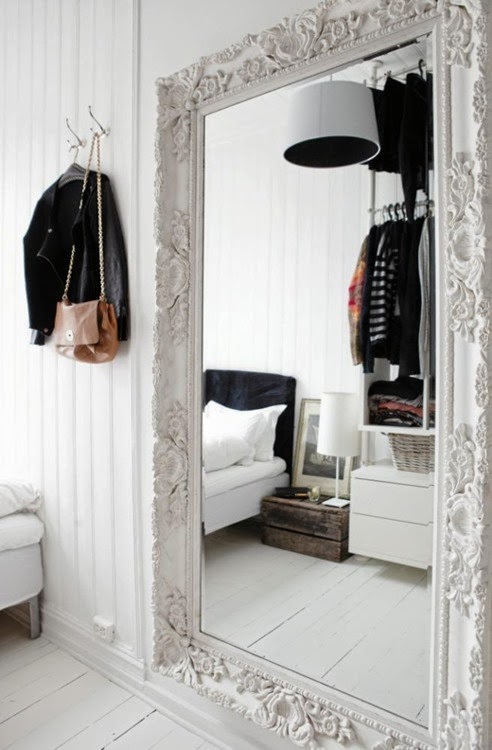 I love how it is just down one side of the mirror - stylish but not too over-powering.. Enjoy.. IDEA TWO: Wrap some rope around it.. 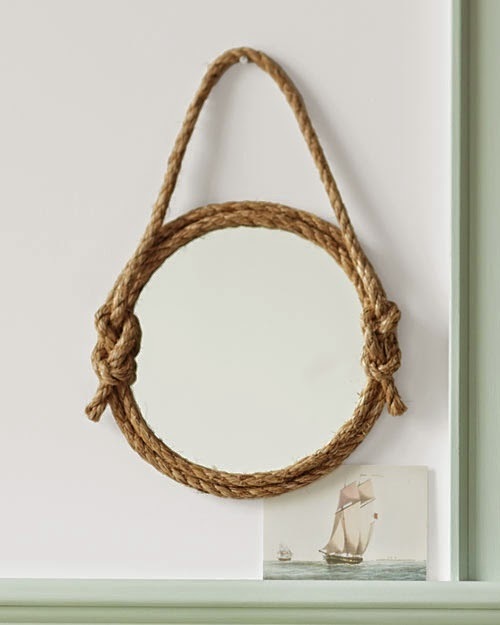 This natural idea of wrapping rope around a mirror will give it a great nautical/beachy look.. Adaptable for a round or rectangle mirror.. Use raw our coloured rope to suit your style.. Enjoy.. IDEA THREE: Glam it up.. 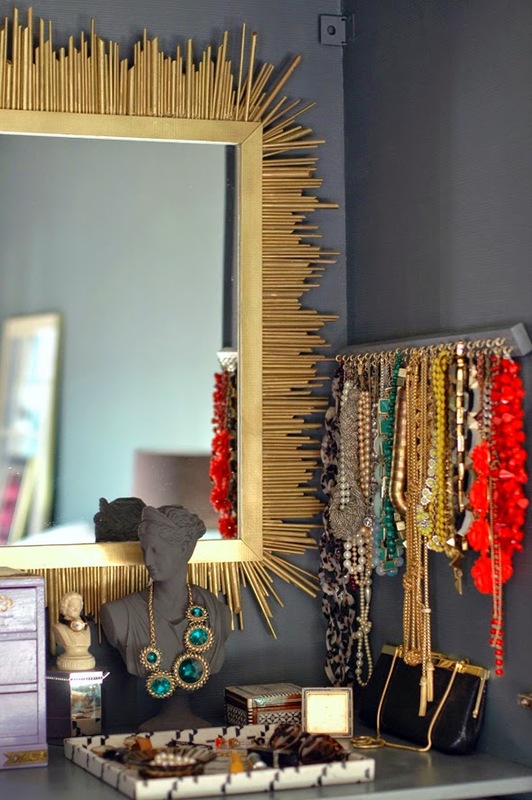 This stunning gold framed mirror is made from dowel sticks (at different sizes) and spray paint.. Use a round mirror to get that 'Starburst' look.. or change the colour to suit your home.. This idea is not only cost affective but it looks so gorgeous.. Enjoy.. IDEA FOUR: Frame it with wood.. Using two different types of wood, you could transform your mirrors from old and drab to new and fab! Firstly driftwood.. I love driftwood and since we live near the beach this material is right at our finger tips.. 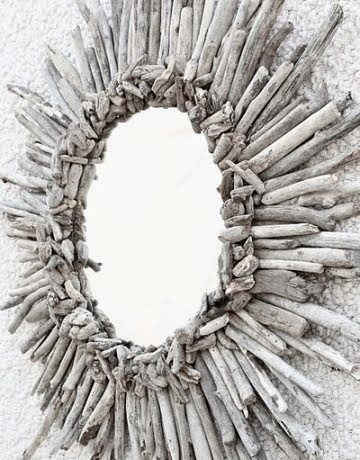 Check out this 'Starburst' mirror using bits of driftwood found ashore.. 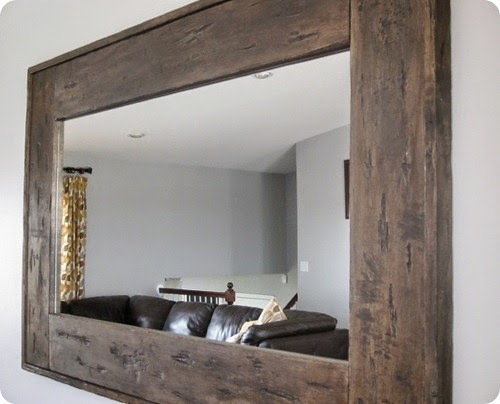 Enjoy..
Click on the link for more information..
And if you can't get your hands on some driftwood then why not take your anger out on this distressed timber frame for a mirror.. And enjoy the stress relief while creating it!! IDEA FIVE: Give it a good paint..
You know a coat of paint will give any item a new look.. So here are two different ways of painting your framed mirror to give it a new life.. Enjoy..
By gently adding a layer of paint over the edges of the frames pattern, then giving it a soft wipe, you can create this gorgeous 'shabby chic' look..
Or if you want to give it a more solid look, then use a thicker paint brush or spray paint the frame in your desired colour..